Thursday, Oct. 14, the U.S. Department of Housing and Urban Development (HUD) announced the finalists for the Sustainable Communities Regional Planning Grant Program. St. Louis, through East-West Gateway Council of Governments, was awarded $4.69 million grant, the 4th largest in the country. HUD’s inaugural grants under this program will support metropolitan and multi-jurisdictional planning efforts that incorporate housing, land use, economic development, transportation and infrastructure. Metro Transit is one of the 11 Consortium Partners for the grant, led by East-West Gateway, St. Louis City, St. Louis County, and FOCUS-St. Louis. 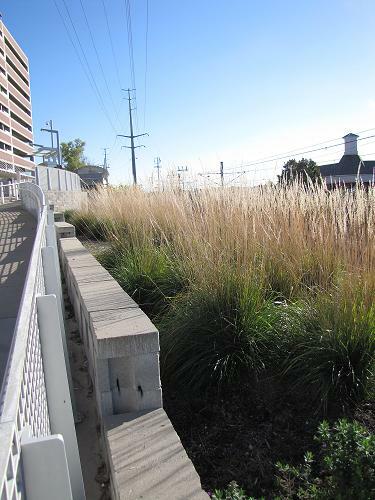 The grant will support a regional sustainable development plan to coordinate decisions about location-efficient housing, economic development, transportation, environmental policy, transit, and the preservation of natural resources and open space. “The fact that many partners worked together was a major strength in the grant application. The key to success is collaboration and cooperation as a region,” said Metro CEO Bob Baer. Read the full grant application here.